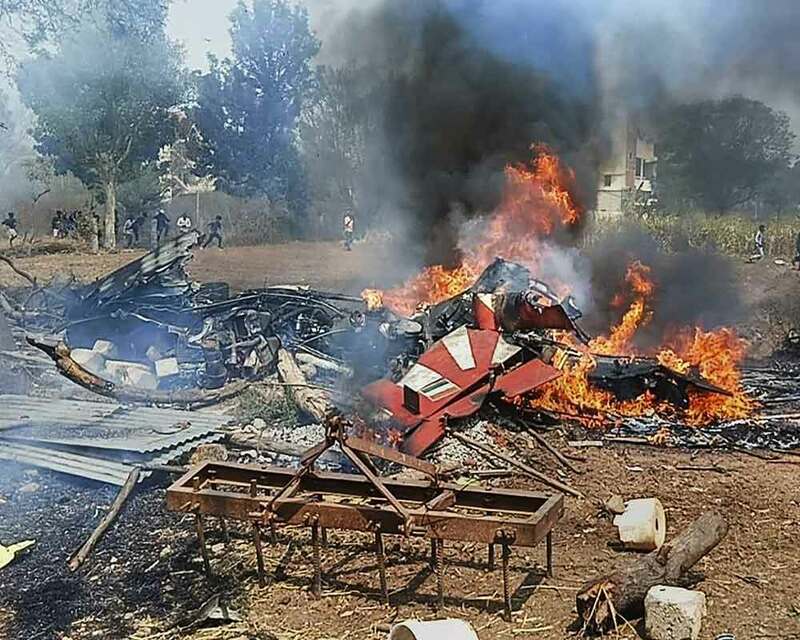 A pilot was killed and two others ejected to safety when two aircraft of IAF's aerobatic team Surya Kiran crashed near the Yelahanka airbase here Tuesday, a day before the opening of the Aero India show, a top police official said. The mishap occurred during a sortie as part of the rehersal for the five-day Asia's premier Air show here. "There were three pilots, one has died, two are safe with injuries," DGP Fire Services M N Reddi who rushed to the spot told PTI. A civilian was also injured in the mishap, police said. "I'm aware of it (incident)," Defence Minister Nirmala Sitharaman said, but did not elaborate further when asked about the accident. She said this on the sidelines of an event here. It was not immediately clear whether the two aircraft collided before the crash.